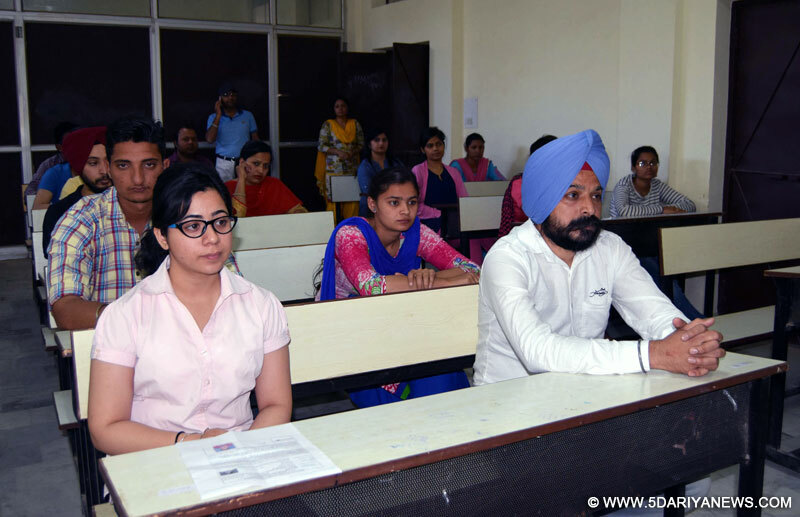 MLT examination was conducted at Rattan Group of Institutions. MLT examination is the test for Medical Laboratory Technician. Around 1250 Students appear in the examination. There were special arrangements for parking. Exam was conducted very smoothly. BFUHS vice chancellor, Registrar thanked RGI for smooth functioning & arrangements.While giving information about it Chairman RGI Sunder Lal Aggarwal said that to check impersonation and other malpractices, the College authorities deployed tight police security. There was dual biometric verification of the all candidates. No candidate was allowed to carry pens, watch and other articles inside the examination centre. The candidates were provided pens by the staff at their respective seats. According to him nowadays Clinical Laboratory test have become key element in most diagnostic and therapeutic procedure for the treatment of Pathophysiological conditions of the body.